Fabio was born in São Paulo and graduated from the Universidade Presbiteriana Mackenzie in 2002 and obtained a post-graduate from the Escola Paulista de Direito (EPD) in Tax Law. Between 2002 and 2005 Fabio worked at a trading company in São Paulo. In 2009 Fabio attended a summer course in International Law in The Hague Academy, and he is currently finishing the Certificate in International Trust Management of STEP. Fabio joined Amicorp in 2005, working as a relationship manager, team coordinator and sales officer in São Paulo. 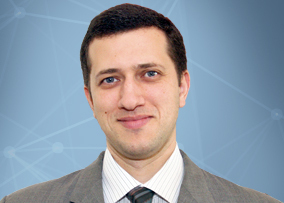 In 2015 Fabio was promoted to Managing Director of our São Paulo office. Fabio is fluent in Portuguese, English and French.